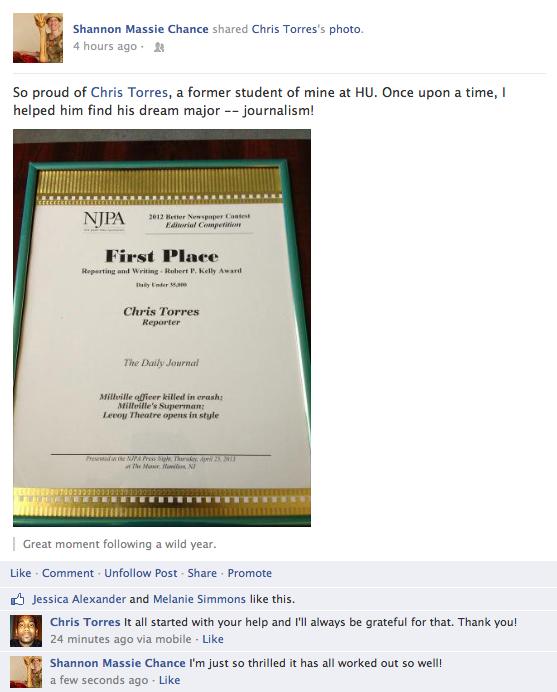 I’d also meant to share a Facebook post Chris Torres made several weeks ago. He won an impressive award for journalism. I’m thrilled to find I advised him well! Facebook post by Christopher Torres.